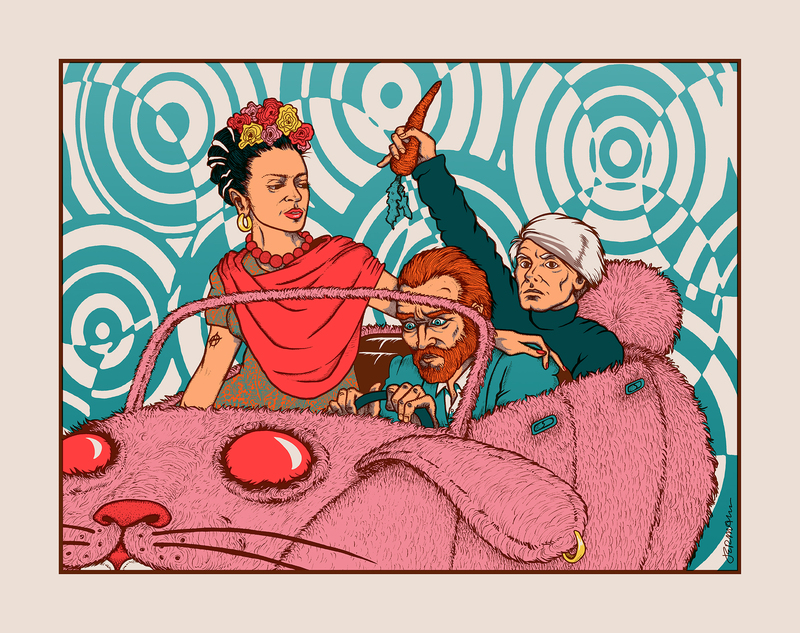 NEW - 'ArtCar' or 'The Eternal Ride Of The Flawed & Bizarre' Art Print - VARIANTS! 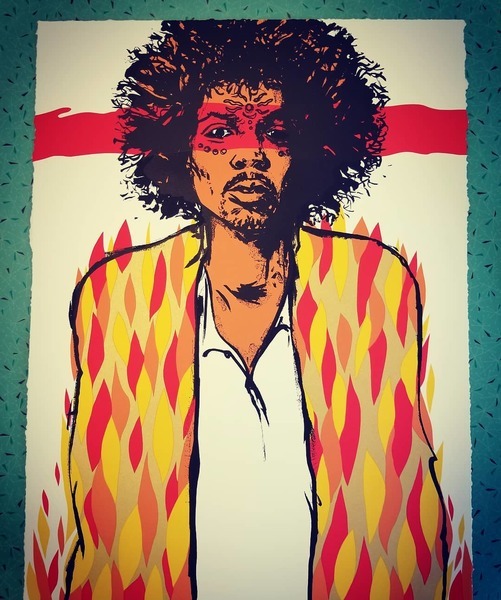 This striking new art print by Jermaine Rogers features three of our weird heroes: Frida Kahlo, Vincent Vangogh, and Andy Warhol. 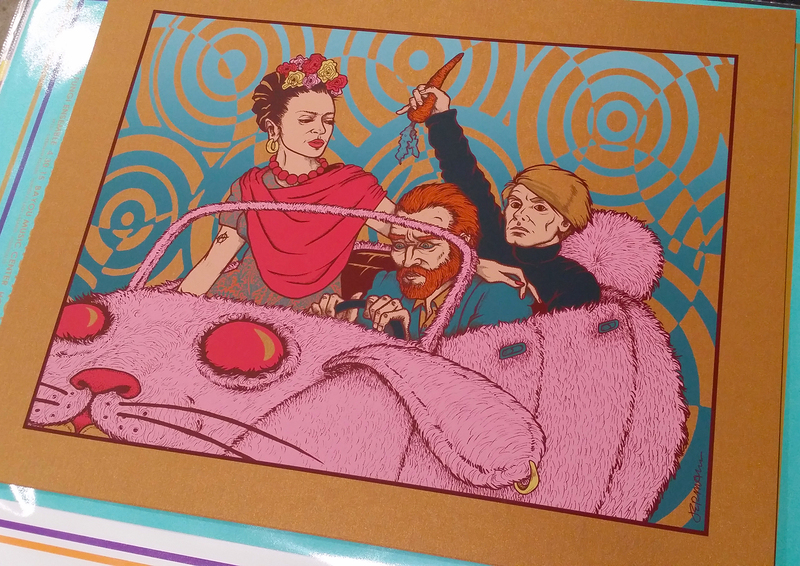 This image (initially created for the world-famous Houston Art Car Parade) is screen printed in 9 vibrant colors, including a subtle gradient fade. 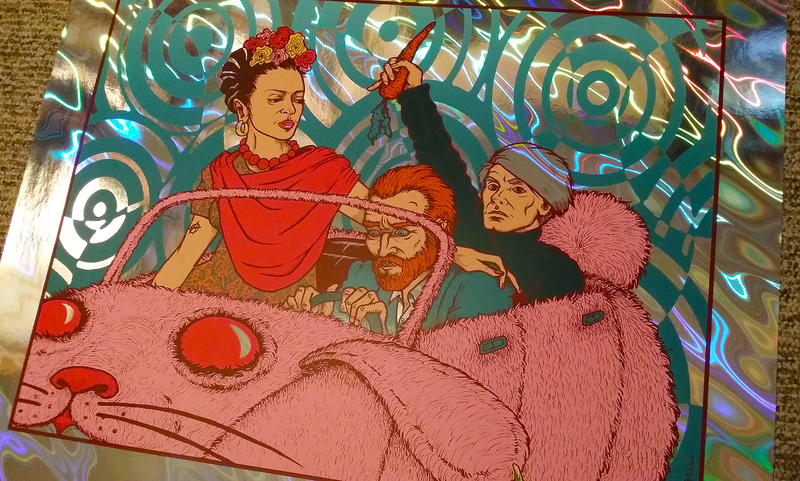 The spirit of the 'art car' is alive and well, as the pink-bunny-mobile carries our trio into eternity. 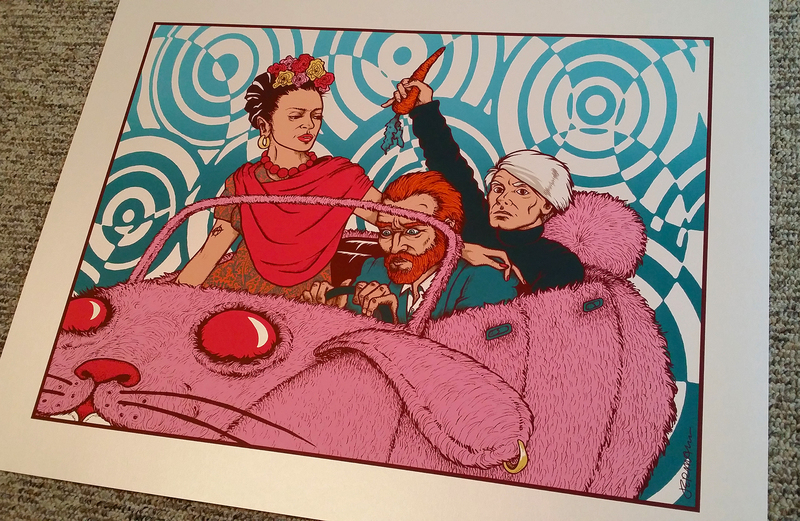 This piece is specially priced, while supplies last. (Opal Edition): Measuring approx. 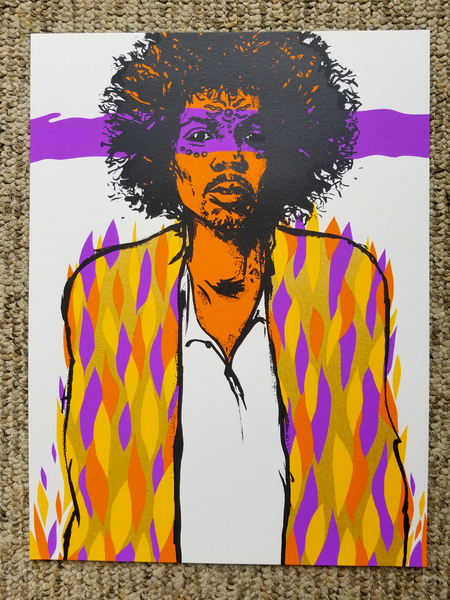 24x19 inches and screen printed on rich Stardream opal gallery stock, this edition is limited to 20 signed and numbered pieces. (Lava Foil Edition): Measuring approx. 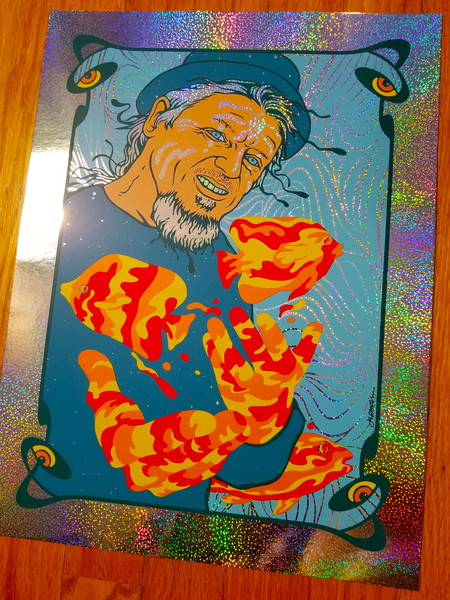 24x19 inches and screen printed on sheets of holographic lava foil, this edition is limited to 20 signed and numbered pieces. (Stardream Antique Gold Edition): Measuring approx. 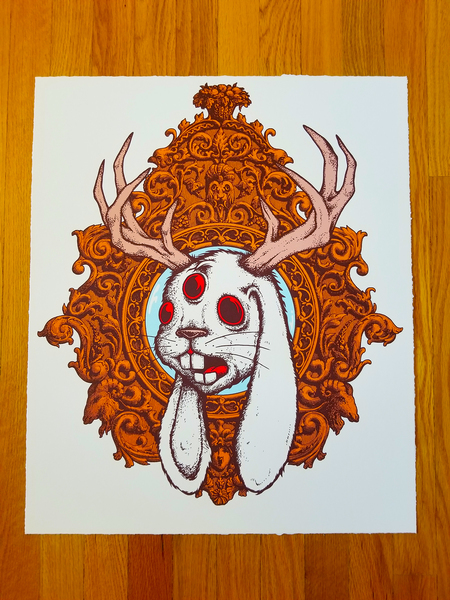 24x19 inches and screen printed on Stardream Antique Gold gallery stock, this edition is limited to 5 signed and numbered pieces.